Our guide has all the information you need to know about old five hundred dollar bills including serial number ranges, years, seal colors, and special varieties. United States $500 bills were last printed during the 1940s. People generally consider 1969 as the last year that they were regularly seen in circulation. You have to remember that millions of $500 bills were issued. Generic examples are still very common despite being very exotic looking (especially if you can’t remember when these were regularly available at banks). However, there are a few varieties that tend to sell for more money than others. Keep reading to learn what makes some notes special. Five hundred dollar bills have always had a tremendous amount of purchasing power. Believe it or not, the first $500 bills printed by The United States were issued during the civil war. To put that into perspective, soldiers in the war only made about $15 a month. Such high denominations were typically only handled by banks or individuals with a very high net worth. $500 bills were issued in limited quantities prior to 1928. We are only including seven different notes in our price guide. There were certainly other years and designs used. However, these are the only $500 that you are likely to encounter today. Most other issues are prohibitively rare. With that said, we would still like to hear about any $500 bill you might have. Please contact us for exact price information. We are just going to talk about $500 green seal notes from the series of 1928, 1934, and 1934A. The vast majority of these notes in lightly circulated condition are going to sell for between $650 and $850. Here are the exceptions. Any $500 bill that has a serial number that ends with a star symbol is rare. This is especially true for the series of 1928. 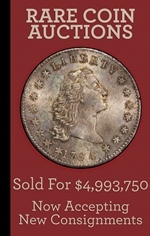 1928 $500 stars are extremely rare and almost always sell for more than $10,000. Prices for other star notes start at about $1,500. 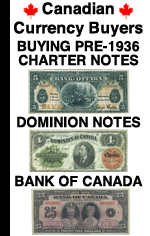 There is also a strong market for notes with serial numbers under 100. For example, B00000037A is a low serial number under 100. The serial number B00009342A is not considered low. Any $500 bill in gem uncirculated condition is scarce. A note in perfect condition has a value that starts at around $1,500. That price point can go up quickly depending on the year and serial number. The first letter of the serial number is also important. Notes can start with A, B, C, D, E, F, G, H, I, J, K, or L. These correspond to the issuing district. Please contact us for details about the importance of the serial number and condition. Why Don't I See My $500 Bill In Your Guide? : We are only showing a few of the more common $500 bills that you are likely to encounter. 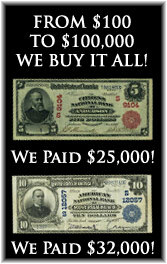 We are not including $500 confederate or obsolete notes. If you have a $500 bill that is not pictured in our guide, then we would strongly recommend that you send us picture of it. That will make it much easier for us to identify and value it for you. Who Is Pictured On The $500 Bill? : William McKinley was pictured on all 1928 and 1934 $500 bills. Different men were pictured on earlier large size five hundred dollar bank notes. Why Doesn't The United States Still Issue $500 Bills? : Many countries currently print $500 bank notes (most notably the Euro). A big reason that some countries chooses not to print high denominations has to do with smuggling, drug dealing, and other illegal actions. Counterfeiting is of course always a concern as well. The general idea is that the bigger you make the money, the easier it is to transport large quantities without detection. What Is The Most Common Large Size Five Hundred Dollar Bill? 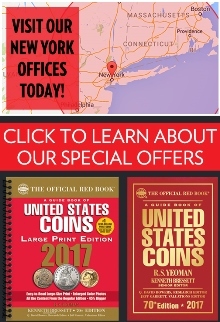 : You are most likely to see 1914 $500 federal reserve notes and 1922 $500 gold certificates. They can be worth as little as a few thousand dollars each. Examples in XF or better condition should be worth $10,000 or more. What Is The Most Counterfeited Old $500 Bill? : We will take this opportunity to say that if you have a $500 bill that is laminated, black and white, or smaller than paper money is today, then you have a counterfeit. Also, if you have a $500 that is two times bigger (or more) than paper money is today, then that would also be a copy. Any high denomination dated before 1900 has a chance to be a forgery. Please send us pictures if you would like it to be authenticated. What Is A Misprinted $500 Bill Worth? : I can't say that I have ever seen a $500 bill with a significant error. An interesting misprint on a $500 bill would be a great find and very valuable. What Is A Five Hundred Dollar Star Note? : We briefly touched on star notes. They are easy to identify. The serial number would end with a star symbol instead of the letter A. Star notes were put into circulation to replace notes that were misprinted during production. Stars are scarce, especially from 1928. What Different Types of Five Hundred Dollar Bills Were Issued? : Despite being a high denomination, $500 bills were issued as most types, including national bank notes, gold certificates, treasury notes, federal reserve notes, silver certificates, legal tenders, and many different types of interest bearing notes. What Is The Most Money A Rare $500 Bill Has Sold For? : There are two or three $500 bills that are valued at more than a half million dollars. Don't get your hopes up of having something like that. That price point is reserved for the top 99.9999% of the market. As we said above, your standard $500 bill is usually worth around $750. However, there are plenty of exceptions. Contact us for details. We buy all $500 bills printed between 1860 and 1934. We have paid thousands of dollar for rarer examples. Contact us today to receive a free appraisal and our best offer.